It’s on India Street but the letters on the gateway spell out: Little Italy. The two-block strip — less than a mile or a 15-minute walk from most hotels on Harbor Drive — may have the most linguine per capita than any area in the United States. Diners sit on sidewalk tables drinking wine, sampling cheeses and putting fork to spoon to spin up tasty pasta. Don’t try to get a table at Bencotto, the fine new Northern Italian eatery, without a reservation. Expect a two-hour wait on weekends. But the newest Italian restaurant in the area has a fine twin, Monello, owned by the same Northern Italian family. The super nice maitre d’ put us at a bar table and promptly left a dish of lupini beans dredged in garlic and olive oil. Later, I munched on spaghetti carbonara. I have never had a dessert as good as its torta della nonna with pine nuts. Not even from my own nonna. I guess that makes me a devilish little boy, the rough translation of Monello. Get a dish of osso buco or just a glass of Chianti. Try the oysters at Ironside Fish & Oyster Bar, or the exquisite American cuisine at Kettner Exchange, known by locals as KEX. Want something traditional? Filippi’s Pizza Grotto will satisfy. World War II hero Gunnery Sgt. John Basilone, who was awarded the Medal of Honor for heroism during the Battle of Guadalcanal, would be very happy. The plaza named in his honor rims the happening dining district just a quick walk from the Embarcadero. Even the 1980s-standby Seaport Village received a makeover, with the new Headquarters adding more shopping and some fancy eateries, including Puesto, where the tacos and bite-sized food gets raves. Also at the Village is surf photographer Aaron Chang’s Ocean Art Gallery. A new cruise ship pier will host Disney’s next adventure: a Mexican Riviera cruise ship that sails only from San Diego starting in October. Might be a good idea to stay landside an extra couple of days to take in the city’s water sites and, you know, get back your land legs. Walking in San Diego is a must along the new wooden boardwalks and paved pathways of the esplanade along Harbor Drive between the Navy and B Street piers. Old pavement and cracked parking lots are now a 105-foot-wide promenade featuring jacaranda trees and a living bioswale covered in red, green and purple drought-resistant plants that filter impurities from storm water. 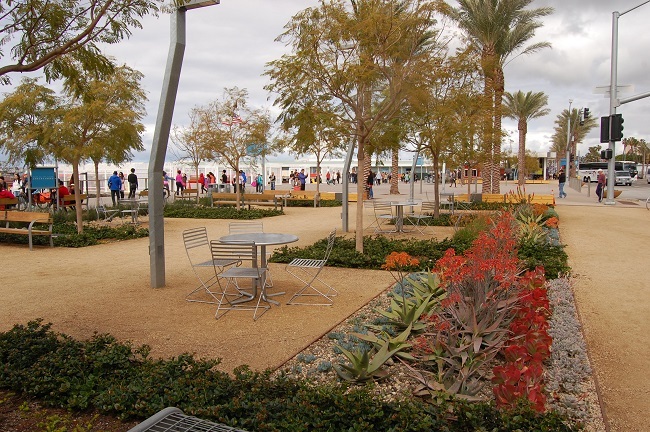 Decomposed granite paths and stainless steel and wood benches dot the former hardscape. They’ve even realigned the street to make more walkable space. Farther south, a new fish market features tuna and octopus fresh from the bay to the highest bidders. Stay at a harborside or downtown hotel in San Diego. 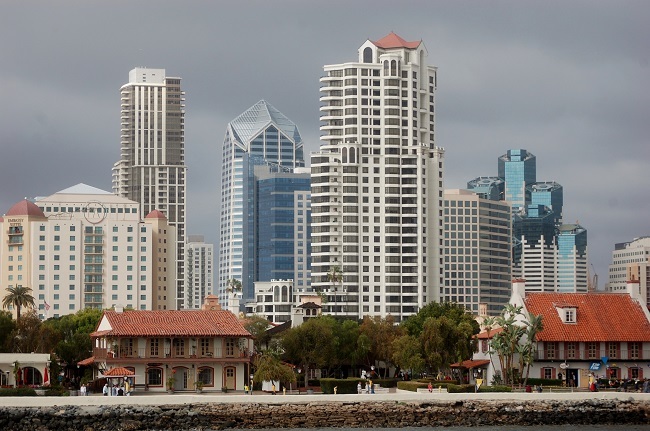 There are some newly updated inns, such as the Wyndham San Diego Bayside, where you can get a bay-view room in one of its towers; the Hilton San Diego Bayfront farther south; the DoubleTree; and in trendy downtown, the W.
In early 2016, SpringHill Suites and a Residence Inn will open bayside, adding to the stay choices. It’s doable to stay within a 15-minute walk of shopping, museums, kayaking, boat cruises and some of the trendiest restaurants and nightclubs in the city. What the Tourism Authority calls $31.1 million in Port of San Diego improvements felt like much more during a weekend trip in late February with a friend. I saw the beginnings of the transformation during a trip with my wife back in May 2013, but two years later, the metamorphosis is truly remarkable. 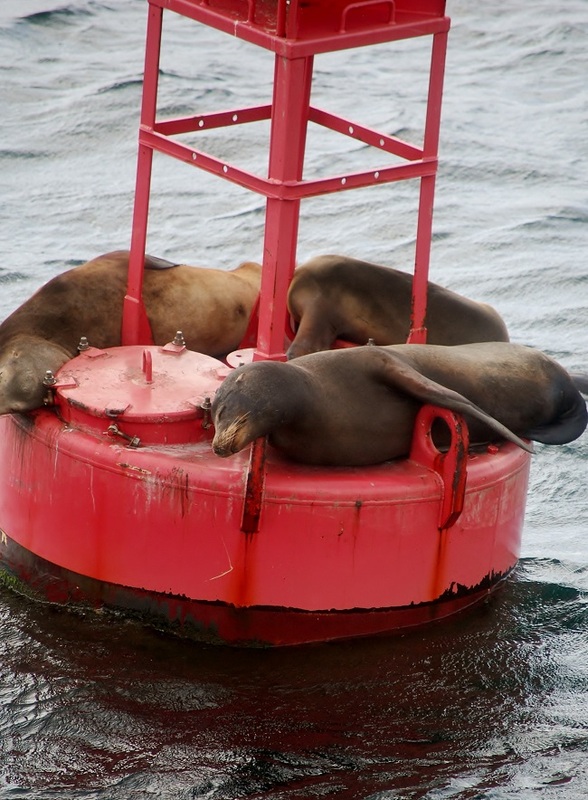 There’s more than just Anthony’s Fish Grotto and the Star of India. Although those two staples remain (who doesn’t remember clam chowder at Anthony’s with your kids or grandkids? And that famous tall ship staring down at you? 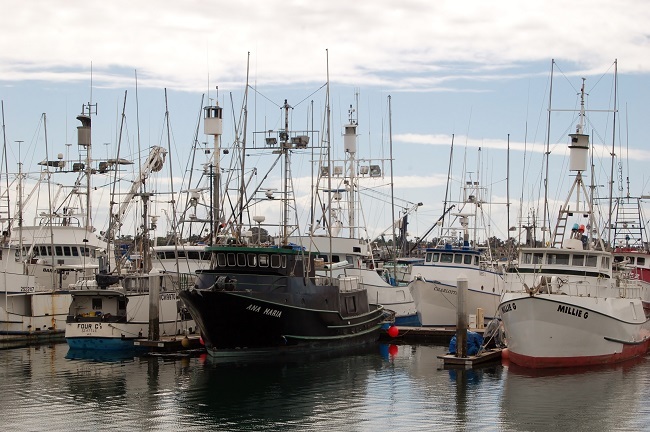 ), there’s been an expansion of pathways, boardwalks and parks that connect the Grape Street Pier on the north with Seaport Village on the south. All accessible by foot, bike, pedicab or, for the geek in all of us, Segway. You’ve arrived at your weekend getaway. After inhaling that complimentary chocolate chip cookie, you’re in the middle of a slow-motion swan dive onto your hotel bed where you sense the pillowy duvet hugging your road-weary body. The last thing you want to do is get back in the car and drive to dinner or the museum. But in San Diego, you don’t have to. Believe it or not, in car-centric San Diego, you can leave the minivan in the hotel parking lot and still enjoy the sights. That’s because a weekend vacation near the city’s restored Embarcadero can be carless and stress-free. 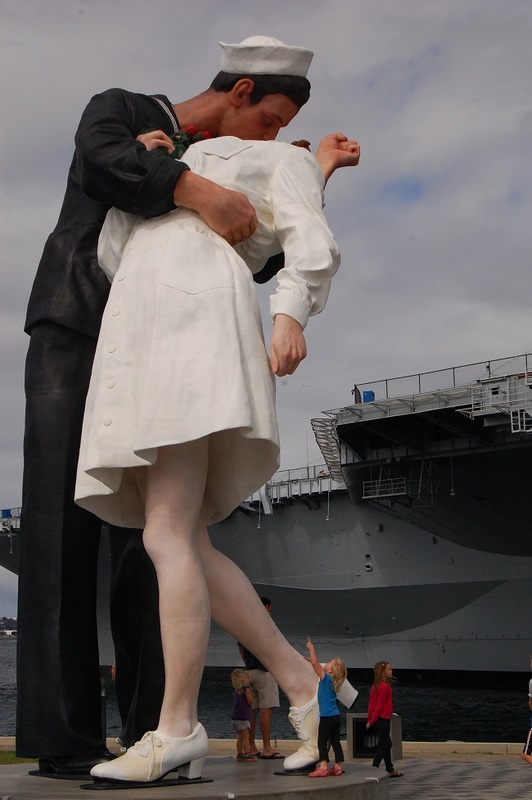 Leap into 45 museums in San Diego this February. Presented by Macy’s, this popular event allows participants to enjoy half-off entry fees at 45 San Diego Museum Council membership museums. The savings encourages locals and visitors to explore a variety of arts, culture and science-oriented destinations. From Oceanside Museum of Art down to the Tijuana Estuary, there are ample opportunities for edutainment, creating memories and fun for the whole family. Museum Month Passes may be picked up starting February 1, 2015 at any of Macy’s fourteen locations in the San Diego Area, Temecula and Imperial Valley. The passes are free to obtain while supplies last. With a pass, up to four visitors can gain admission to any of the over 40 participating museums for half-price. Plus, you can use the pass all month long! It’s the most wonderful time of the year as Universal Studios Hollywood and Universal CityWalk deck the halls for a wintry calendar of cool holiday activities at The Entertainment Capital of L.A.
A very, merry Grinchmas returns to Universal Studios Hollywood as the theme park celebrates the Who-lidays with The Grinch, his faithful dog Max and a roster of Whos from the town of Who-ville. “Grinchmas” runs weekends on Dec. 6-7 and 13-14, then continues daily from Dec. 19 through Jan. 3. 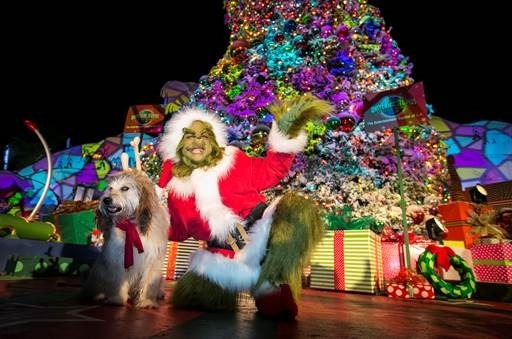 The Universal Plaza, an elaborate grand piazza at the heart of the theme park, will serve as the backdrop for the lighting of the towering “Grinchmas” tree – a whimsical centerpiece twisting and spiraling 60 feet above visitors and providing the ideal setting for merry holiday making memories, while The Grinch, his adorable dog Max and the WhovilleWhos entertain guests nearby with fun-filled photo opportunities. It’s a new day in the desert as La Quinta Resort & Club, the first resort to debut in Palm Springs, adds another gem to its crown: a multi-million dollar milestone restoration befitting of a legendary classic. Shouldered by the rugged Santa Rosa Mountains and a storied Hollywood past, the iconic 1926 landmark steps up with fresh, contemporary look while retaining the glamour and architectural elements that anchor what has always been an authentic experience. Ready for its close up, the resort-wide renovation encompasses upgrades of all guest casitas, starlight villas and suites as well as a re-imagined pool experience. The ambitious project also infuses the resort’s lush 45 acres with a bevy of additional bougainvillea, roses and citrus trees. 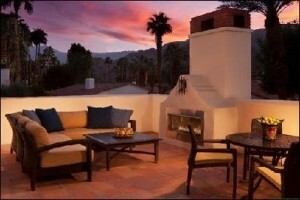 www.laquintaresort.com. This signature Waldorf Astoria resort has long been a vortex for the sports- and culinary-minded, a haven for urbanites looking to unplug and refuge for Hollywood’s elite seeking an escape from the limelight. One can easily decamp here to sketch out a screenplay (as Frank Capra did), drill down a handicap or rekindle a flame. From the stately Spa at La Quinta® to five championship golf courses including PGA WEST’s® TPC Stadium Course and award-winning Morgan’s in the desert, La Quinta Resort once again sets the stage as California’s top desert retreat. Drawing inspiration from the colorful desert environs, Los Angeles-based firm Smith & Firestone created a residential-style design featuring custom tile work and wrought iron elements, new furniture, floor coverings and two-toned blocked drapery panels. The resort’s signature casitas, clustered around 41 showcase pools, are set in a fresh earthen palette of ivory, terracotta and chocolate offset with citrus overtones. 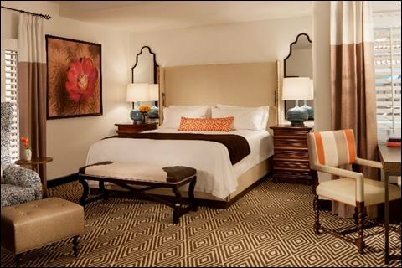 Stylized Palomino textured leather bed benches, crisp hued pillows and throws adorn luxurious Wingback style headboards and contemporary Victorian chairs, while upgraded lighting and blue-sky accessories enhance guest bathrooms. Standout elements include oversized, nail-head embellished headboards flanked by two arched mirrors reflecting the resort’s colorful tile designs. Rich maple furnishings mirror the stunning geometric floor treatment set in beige and cocoa. Starlight Casita patios, popular for their stunning mountain views, debut romantic new fire features as well as plush couches and tables for alfresco entertaining. The custom-designed suites, including the coveted El Presidente with a showcase private pool and spa, share a similar design as well as new landscaping, updated patio furniture and renovated decks. New amenities include 42- to 47-inch flat-screen high-definition televisions, mini refrigerators, Keurig® coffee makers, charging stations with dual USB ports, upgraded fireplaces and photography inspired by the storied history of the resort and its surroundings. La Quinta Resort & Club participates in Hilton HHonors®, the only guest loyalty program that allows members to earn Points & Miles® for the same stay and redeem points for free nights with No Blackout Dates at more than 4,100 hotels worldwide. Building off the success of the past five San Diego Beer Weeks, the San Diego Brewers Guild is preparing for San Diego Beer Week 2014 on Nov. 7-16. San Diego Beer Week is a ten-day celebration inspiring people to drink local, craft beer and promoting San Diego’s thriving brewing culture with multiple events happening across the county. San Diego is home to more than 90 breweries and has gained an international reputation for brewing award-winning beers. The city’s breweries brought home more medals at the 2010 World Beer Cup than the traditional beer countries of England, Germany, and Belgium combined and won 20 medals at the 2011 Great American Beer Festival. With the popularity of craft beer on the rise, San Diego is poised to be the capital of craft beer tourism in the United States.